Every marketer has had that foot-in-mouth moment (we've even written a whole blog post about some of our most notable ones). But even if those public fails are a sort of rite of passage for those in our industry, part of our jobs is also to try to prevent those embarrassing public faux pas. And you know what makes prevention a lot more difficult? When your marketing strategy hinges on interruptive, outbound, big-flashing-lights-pay-attention-to-me tactics. I mean sure, if they're successful you're sittin' pretty, but if they backfire, it's really hard to bury that under the rug. So we thought we'd explore some brands' biggest outbound marketing mistakes as a bit of a cautionary tale. It's not that you shouldn't engage in some of these tactics once in a while ... but take every safeguard possible before launching the campaign, lest you turn out like one of these cautionary tales. Remember playing Mario Kart when you were a kid? Or dressing up as Mario and Luigi for Halloween? Mario's a character we all know and love. Great news for Nintendo, right? Right -- until your mascot is walking around New York City getting arrested for frisky business. Whoopsies. That's right, our beloved Mario not only groped a stranger while donned in the gregarious costume, but also had marijuana on his person. Not a good day for Nintendo. Having a popular mascot synonymous with your brand presents tons of marketing opportunities, but unfortunately, one can't always control who puts on the mask. That big, giant mask roaming around one of the busiest, most populated cities on the planet. That's quite the risky bet. In June 2005, Snapple did what any brand would do to promote a new line of frozen snacks: put a massive popsicle in the center of one of the world's most populated cities during an 80 degree summer day. 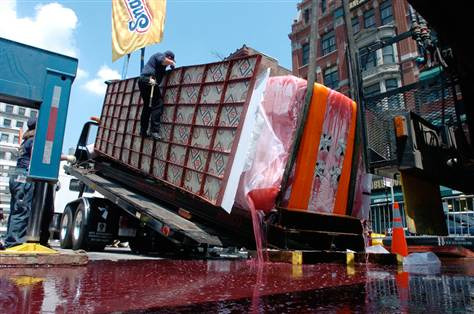 The popsicle, 25 feet of frozen Snapple, was to be erected in New York City's Union Square (fun fact: that's the same spot where Mario was arrested), but began melting almost immediately. A sticky, fruity river formed in Union Square, sending tourists running and firefighters to their hoses. Though the execution of this went terribly, terribly wrong, it was a bold idea and the brand deserves props for thinking outside the box. If anything, we all learned a new Snapple fact: cold stuff melts in the sun. In 2006, Paramount Pictures pulled out the big marketing guns with a guerrilla promotion for the third installment of the Mission: Impossible series. The Los Angeles Times agreed to wire its newspaper racks throughout L.A. and Ventura with a digital music device that would play the Mission: Impossible theme song whenever the rack was opened. Well, if Tom Cruise has taught me anything, it's that stray wires are probably deadly. Pedestrians were alarmed by the loose wires and called the police. The Los Angeles County Sheriff's Department arson squad even blew up one of the musical news racks in fear that it was a bomb. The lesson? 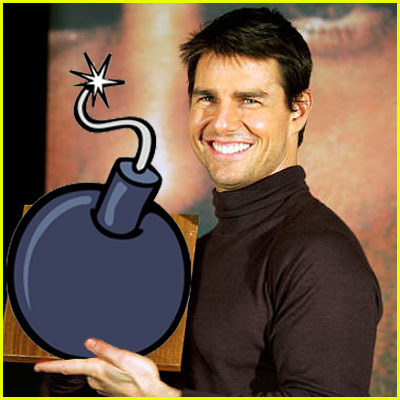 Your marketing campaign shouldn't scare your target audience to the point of calling in bomb squads. You know, Marketing 101. Celebrity endorsements can be a great move for brands. In fact, some of them spend millions of dollars on celebrities with clout in hopes of boosting their image in the right direction. So, when you get a shout-out from Oprah, the colossus of clout, things are going in the right direction ... usually. Oprah tweeted from her personal account about how much she loved Microsoft's new tablet, the Surface, but unfortunately she sent this tweet using an iPad. Whoops. 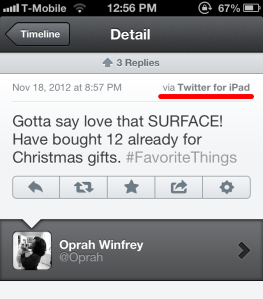 The media quickly jumped on Oprah's #fail to further discuss the tablet war between Microsoft and Apple. But there is a silver lining: even Oprah is human. And hey, at least this marketing fail leveraged a social media network! 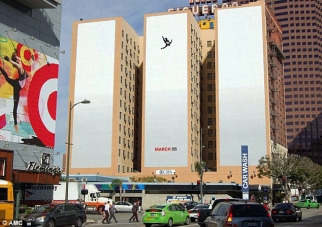 In early 2012, the AMC network used New York City as its canvas to promote Mad Men's fifth season premiere with billboards of the show's iconic falling man silhouette, plastered on buildings and subways throughout the city. The opening sequence of Mad Men has featured a man in a suit falling through the sky since 2007, but understandably, this design on buildings in New York City after the tragic events of 9/11 hit too close to home for many New Yorkers, and many families of 9/11 victims expressed how disturbing the billboards were. Hopefully promotions for season six of Mad Men will generate the right kind of buzz. Being bold is valuable in the marketing biz, but even alcohol advertisements need to keep it sober sometimes. At a Netherlands vs. Denmark soccer match in the 2010 World Cup, Dutch brewery Bavaria NV had thirty women wear its branded orange mini-skirts under their regular clothes, and then strip down before half-time. Who wouldn't want to see thirty Dutch girls in mini-skirts? Anheuser-Busch wouldn't, that's who. Anheuser-Busch paid good money to be the official beer of the World Cup, and to have exclusive advertising rights. Two of the women held responsible for Bavaria NV's stunt faced brief jail time and subsequent trials for ambush marketing. Yikes. In the future, if you know another brand is footing the bill, don't try to go dutch. When you begin typing Aqua Teen Hunger Force into Google, the second suggestion is Aqua Teen Hunger Force Boston. Why? 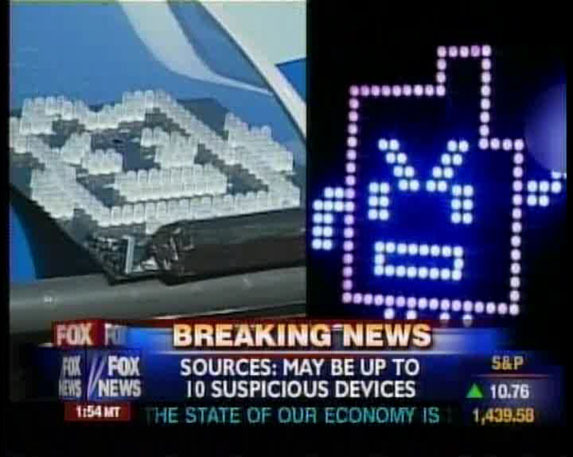 Because in 2007, this late-night animated series from Cartoon Network caused quite the stir in Beantown with 40 promotional battery-operated LED signs shining throughout the city. Bostonians were alarmed by the mysterious, coordinated signs and the police closed highways and main roads while they confirmed the lights were not part of a pre-orchestrated bomb attack. Unfortunately for Turner Broadcasting, Cartoon Network's parent company, you can't be responsible for a bomb scare and just skip town. The two men hired to put the signs up were arrested and the company paid $2 million to local authorities and U.S. Homeland Security. Kind of surprising they didn't learn their lesson from the previous year's Mission: Impossible stunt, eh? Do you ever see celebrities endorsing products in advertisements and wonder if they even use it in real-life? Well in this 1979 commercial for Paul Masson's sparkling wine, Orson Welles is proof that some celebrities believe in testing products before becoming a spokesperson. What other interruptive marketing have you seen go up in flames? Share your horror stories -- personal or otherwise -- in the comments!